The latest in-house innovation product is made in partnership with Chipolo™. 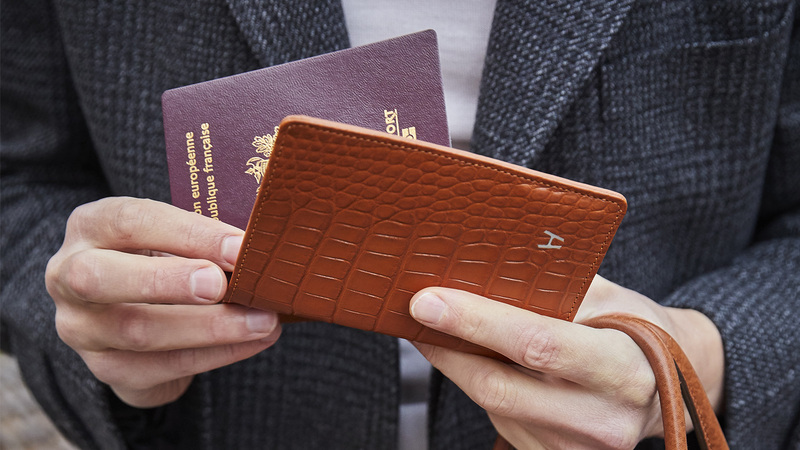 A luxurious take on an excellently functional piece, this passport cover is made from genuine alligator leather. Expert craftsmanship by artisans provides precise detailing and stitching in each cover. 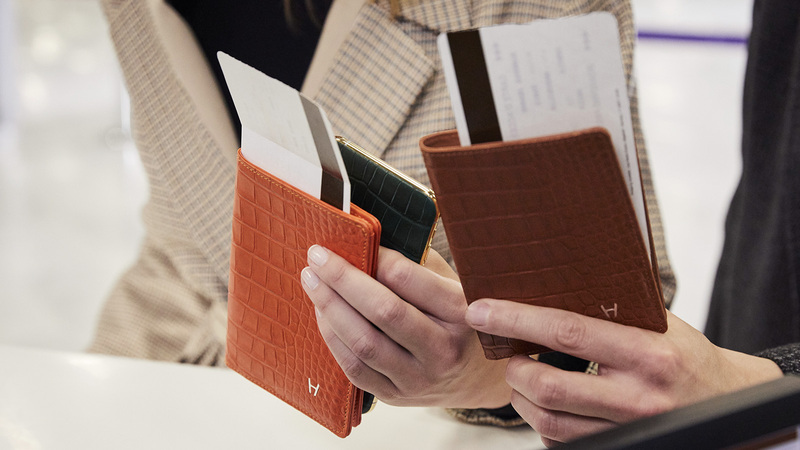 Hadoro combines technology and style with the first-ever Bluetooth tracking system embedded in this passport cover. With it, you can determine the last known location of your passport using your smartphone. Lost it? Mark your Passport as lost in the Chipolo™ application and active community search. Every single Chipolo user who passes by can update the last known location anonymously to you. - Ring your Hadoro passport cover powered by Chipolo™ from the Chipolo App on your phone. - Ring your phone with your Hadoro passport cover powered by Chipolo™ by double-clicking the Hadoro logo on the cover. - See it on a map. - Control with the voice over. This passport cover is an excellent piece to take on your travels. 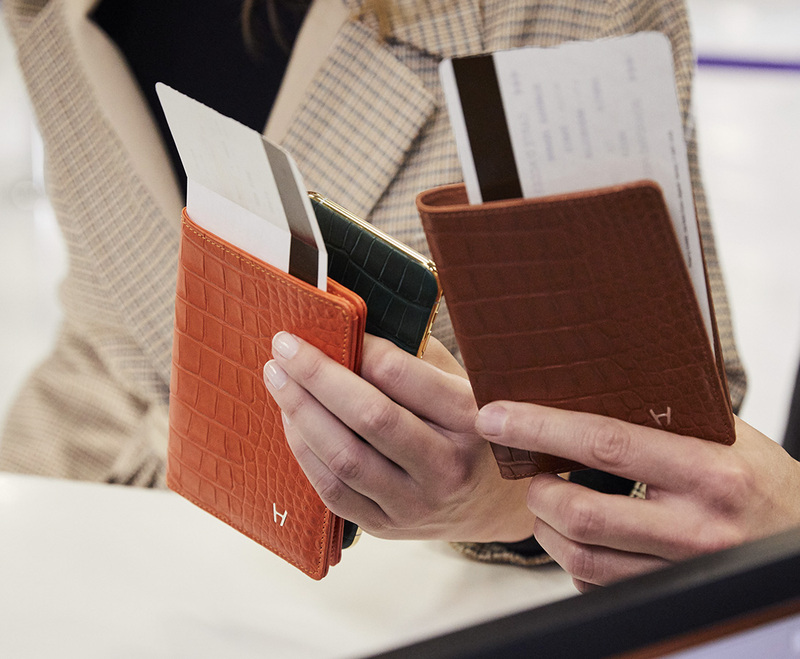 Not only is it a chic passport cover to secure your document, it is traceable when needed. 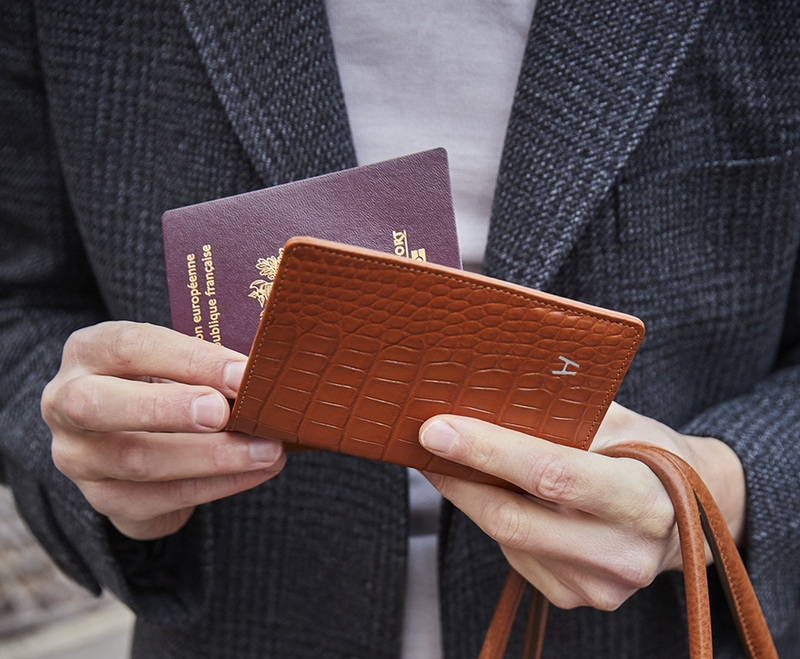 Your valued passport will be kept safe when you jet off to your next fabulous destination. 1. Fine Alligator leather from the Southeastern United States on the outside. 2. Lining - calfskin leather, tone paired with the outer leather. 3. Hadoro “H” logo in metal with a variety of finishes. 4. Left flap cover design with a card slot. 5. Hot-stamped Hadoro Paris logo and printed Chipolo™ logo on the inside. 6. Dimensions (WxL, folded), weight (grams): 10 x 14,5 cm, 59 g.
1. Range: 60 m (200 ft) - the line of sight. 2. Water resistance: splashproof (IPX5 standard). 3. Battery: 1-year non-replaceable battery (2 devices included per passport cover). 4. Compatibility: iOS 9 and later; devices running Android 4.4 and later.